For Apple's "show time" March 25 event, it appears the company continues to "pull the thread" to see where the future of television leads-- and it sure looks like that future is tighter integration between iPad, Apple TV, and HomePod. To clarify where Apple's headed in television, it's useful to look back on what it's already done, and what it has intentionally avoided. Despite years of pundits-- lead by Gene Munster-- claiming Apple would get into the television set business or add a Tivo-like DVR to Apple TV, those predictions never materialized. Munster has long been the pinnacle of wrong in his analysis of Apple and the television market, to the point where it is a widely recognized joke that Munster perpetually predicted that Apple would 'ship a television that cost twice as much everyone else's, and make tons of money on it' any minute now. Apple first launched Apple TV at an event in 2006, similarly taglined "it's showtime." Originally that product was, effectively, an iPod for your television. You could wirelessly sync over music, photos, and video content from your Mac to the box for watching on the big screen. Apple continued to refer to Apple TV as a "hobby," particularly as its ambitions for the device were greatly overshadowed by the subsequent launch of iPhone. 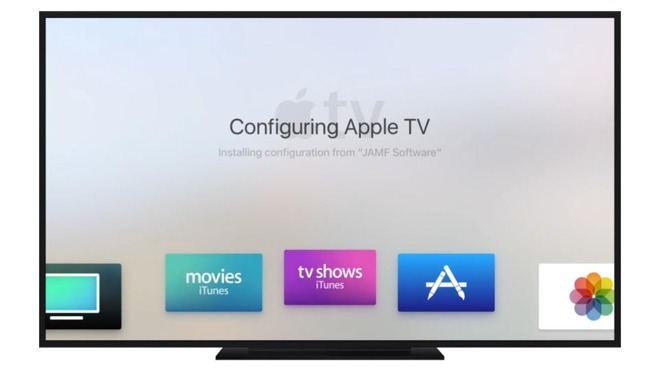 Yet its development of technologies including AirPlay (a video expansion of the existing AirTunes music delivery protocol) and AirPlay Mirroring continued to make Apple TV more attractive as a product. While it officially launched before iPhone, Apple TV didn't get its own App Store until much later: 2015, at the launch of tvOS. Until then, the only store for Apple TV was iTunes. Before rushing to put third party apps on TV, Apple pursued a much bigger opportunity presented by iPad, its other television. Initially mocked as being "a big iPod touch" by people who couldn't see its potential, Apple initially worked to position iPad as a portable computer. The first apps it showed for iPad in 2010 were its own free Pages and Keynote titles, which clearly benefited from running on an iOS device bigger than iPhone. Almost two years after iPad's introduction, at the end of 2011, Apple launched Newsstand as an effort to enhance subscription journalism content to iPad. That failed for a number of reasons, in part because many content publishers tried to scrape their existing, failed Adobe Flash-based digital media efforts into the market Apple created for them, resulting in a poor experience that turned off readers. With its Texture and TV apps, Apple appears posed to launch new services that bundle content from lots of "apps" into a single subscription choice, putting one price on all the content a user can enjoy. This is the same model as Apple Music, which pays out content creators per song streamed. Just as iTunes created a role for Apple TV and Apple Music created a reason to buy HomePod, there's additional hardware form factors that could erupt from the expansion of Apple's Walled Garden of new subscription services. If Apple can establish Apple TV as a real gaming console and not just a place for simple mobile apps trying to sell In App Purchases, it will have an ideal foundation for launching Augmented Reality gaming and Virtual Reality experiences using new wireless hardware mounted on your face. A cost effective "HomePod nano" (or "Apple Radio") could be used to expand Siri and HomeKit functionality throughout the home without needing the 4K video or 4 inch speaker hardware that contributes much of the cost in Apple TV and HomePod, respectively. Apple's focus for next Monday's event appears to be on its new subscription services.